The electric beauty spa couch is a height adjustable, spa style couch with gas lift head section and integrated towel roll holder. Available as standard with white upholstery and feature grey piping. 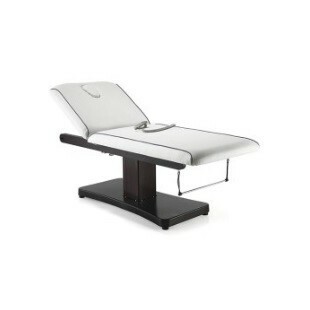 The electric beauty spa couch is also available in all REM fabric colours.